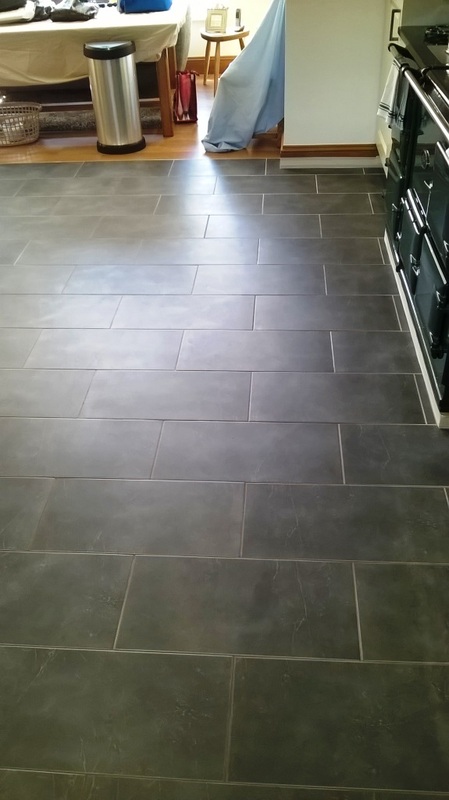 Pictures below of a slate tiled kitchen floor that I recently maintained at a house in Burton on Trent. The problem was the usual one that the sealer had worn down and the floor had lost its polished look leaving it dull and the owner of the house wanted it looking new again. 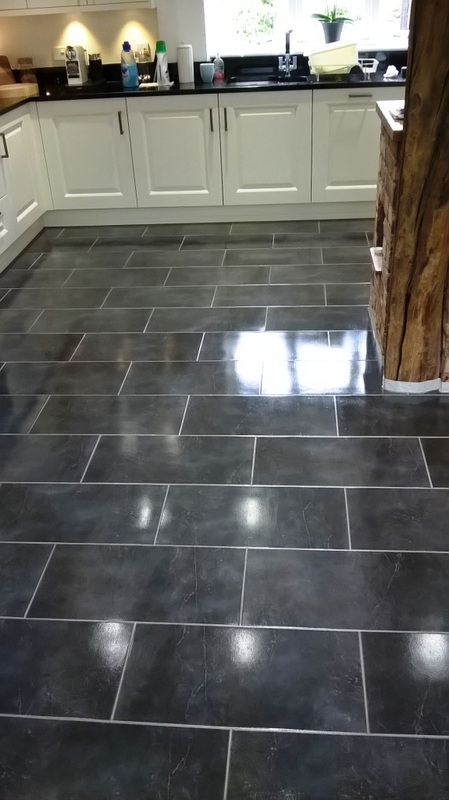 The floor was cleaned using a dilution of Tile Doctor Pro-Clean which was left to soak into the slate for ten minutes before being worked into the tile using a rotary machine fitted with a scrubbing pad. The process was repeated where there were stubborn stains and then the whole floor was washed down to remove the soiled cleaning solution and any trace of product. The floor was then dried as much as possible using a wet vacuum and left to fully dry overnight. I left the floor overnight to dry then came back next day and used a damp test meter to verify the floor was dry and ready for sealing. 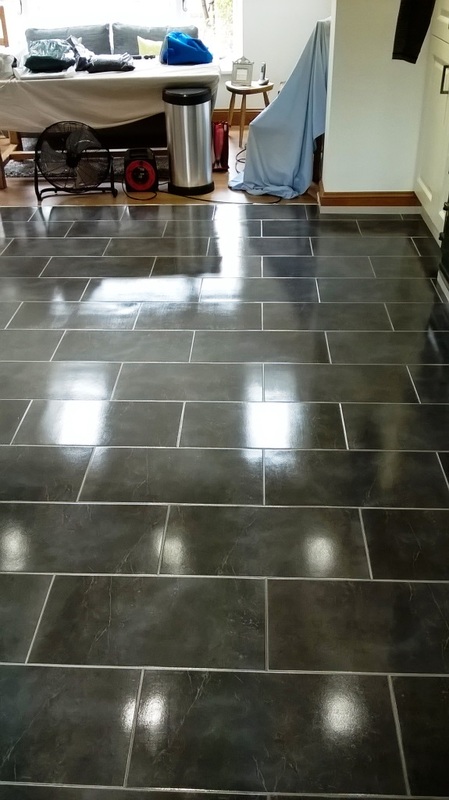 Once happy I proceed to apply four coats of Tile Doctor Seal & Go which as you can see from the photograph below has really brought the slate back to life. The customer was delighted with the transformation of the floor. 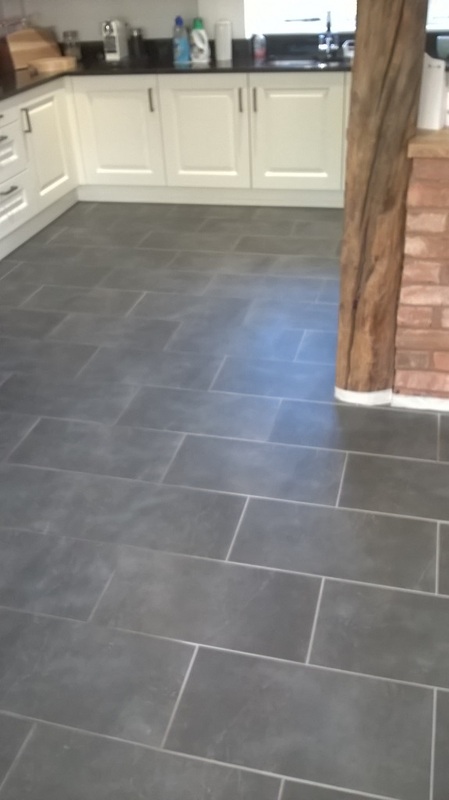 This entry was posted in Slate Tile Posts and tagged burton on trent, kitchen floor, slate tiles, staffordshire, tile cleaning, tile sealing by AbzDominise. Bookmark the permalink. Huge transformation, the floor has sprung to life.